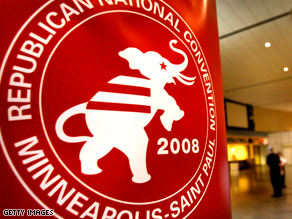 How can GOP top Dems convention? The Democrats went out with a bang last night at Invesco field, and may have ended the week with one of the best political conventions ever. This also means they've left John McCain and the GOP with one tough act to follow when they convene in St. Paul on Monday. Although it's pretty hard to argue that the week wasn't a hit, Republicans were quick to dismiss Barack Obama's speech in front of nearly 90,000 people last night. McCain called it "misleading" and "fundamentally at odds" with his "meager" record. McCain insists despite all the hoopla, Obama is still not ready to be president. 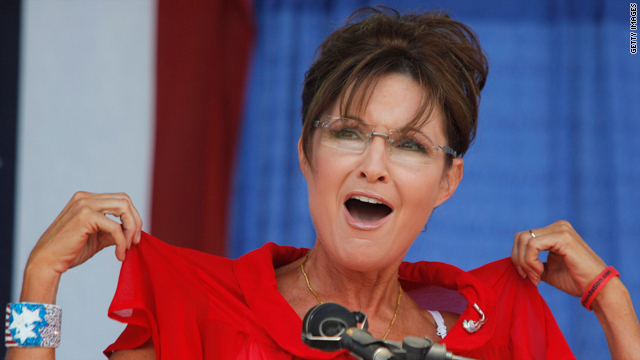 it will be interesting to see if he keeps making that argument now that he's named Sarah Palin, a first-term governor from Alaska who's younger than Obama and has even less experience, as his V.P. Republicans may also have to contend with Hurricane Gustav, which is on track to hit the Gulf Coast and maybe even New Orleans, next week. Some Republican officials are considering delaying the start of the convention, and the White House has also been debating whether President Bush should cancel his appearance Monday. Three years after Hurricane Katrina, the image of Republicans celebrating their nominee with another potentially deadly storm looming could be a disaster for the party. However, the convention president insists that the gavel will go down Monday. Here’s my question to you: What do Republicans have to do at their convention to top the Democrats?